There is almost no information on ‘Jack’ Adler. The only recorded piece of information is that after leaving Woodcote House in Ascot, Adler is known to have been living in a hostel in London. Bart had two brothers and grew up in a close Jewish family. His father was a painter and decorator. Bart’s mother was one of eight children and he had 16 cousins. The family were imprisoned in the Lodz ghetto until deportation to Auschwitz-Birkenau. All but his father were gassed on arrival. Bart was liberated at the Wobbelin concentration camp near the German city of Ludwigslust. In 1948 Bart discovered his father, who had survived, had been murdered in Germany shortly after the war. After this, Bart decided to join the Israeli army. After he left the army Bart decided to stay in Israel rather than return to the UK. He eventually settled in Australia. Baker was born in Chmielnik, in southern central Poland. Baker’s parents were Yekesil, who ran a mill, and Bluma. He had three brothers Shlomo, Haskiel and Shmuel. Baker was liberated at Theresienstadt in Czechoslovakia (now the Czech Republic) and came to England in August 1945. Baker settled in Canada where he worked in import-export. He married Adele Garfinkel. The couple had three children and six grandchildren. Baumel lived in the town of Deblin-Irena, not far from Lublin, in what is now eastern Poland, where his parents Lajzer and Sara ran a shop. He had four brothers and two sisters, Rose and Czarna. Baumel endured a death march to Theresienstadt in Czechoslovakia (now the Czech Republic) where he was liberated at the age of 15. In 1951, Baumel left the UK for the USA to join Czarna and his mother, who had both survived the Holocaust. He married and had three daughters. Brand was born in Ulucz in the Carpathian Mountains in south-eastern Poland. His parents were Chaim Dovid and Lea B. He had six brothers and sisters. Only Brand and one of his brothers survived. Brand survived the death march to Theresienstadt in Czechoslovakia (now the Czech Republic) where he was liberated 8 May 1945. He settled in Israel where he died in 2015. Czeret’s parents Yuda and Klara had a shop in Budzanow. The family were imprisoned in the ghetto, but Czeret escaped. He was hidden by Ukrainian peasants in the countryside until the end of the war. His parents died in the ghetto. He came to the UK in October 1945. Czeret volunteered to fight in the Israeli army in 1948 and after the war he stayed in Israel. He married, had a son and a daughter and four grandchildren. Dagan was born in Piotrkow, Poland, but soon after the family moved to the large industrial city of Lodz, where they owned a factory. He survived life in the ghettoes and camps before liberation at Theresienstadt in Czechoslovakia (now the Czech Republic). While living in Ascot, Dagan discovered he had family in USA and Israel. He left for Israel in 1949. Dagan married and had two daughters, six grandchildren and six great- grandchildren. Today, he lives in Askelon, Israel. Diament came from a large family who lived in the manufacturing city of Lodz, known as the Manchester of Poland. The family were deported to Auschwitz-Birkenau where nearly all were murdered. Diament was liberated at the Theresienstadt in Czechoslovakia (now the Czech Republic). Two of his older brothers survived the war and he left the UK to join them in the USA. Diament was married twice, first to Perl and then to Mary. He had four sons. Diament worked in the food industry and died in 1998. Other name used: Abraham Dychter Date of Birth: 27.3.1930 (1932) Place of Birth: Hrubieszow, near Lublin, Poland. Dichter’s parents were Mashe Dychter, a dairy product salesman and Shindal. He had two brothers David and Baruch. They all died during World War Two. Abe Dichter was in the labour camp at Budzyn, in the concentration camps of Majdanek, Auschwitz in Poland, and Mauthausen in Austria. In 1945, Dichter was moved to Theresienstadt in Czechoslovakia (now Czech Republic). Dichter arrived in the UK in August 1945. He spent some weeks in the Lake District before being moved to Ascot. After Ascot, Dichter was moved to the Garnethill Boys' Hostel in Glasgow. Dichter went into business with Harry Suskin who was also at Ascot. Dichter married and had two children. He is buried in Tel Regev, near Haifa in Israel, close to where his family live. The Englard family were living in Krakow when the Germans invaded Poland. Englard was the sole survivor from his family to survive the Holocaust. He was liberated by the Red Army on 9 May 1945 and arrived in the UK in August 1945. In 1948, Englard left for Israel in order to join the Israeli army. He married another Holocaust survivor, Yaffa, and had two daughters, Anat and Nina and has five grandchildren. He lives in Israel. Benek Englard. Photo: Benek Englard. Fersztand was born in Kozienice, almost 50 miles south of Warsaw, Poland. His parents were Helene and Moshe. It is thought his father was murdered at Treblinka. After he arrived in the UK, he discovered his mother and sister had survived the war. Fersztand studied to become a structural engineer. Fersztand stated that he decided not to go the USA, as many of the boys who came to the UK and later immigrated to the USA were drafted to fight in the Korean War. He married Erika and had two sons, Basil and Colin. Today, Fersztand lives in Basel, Switzerland. Freiman was brought up in Jeziorna, a village near Warsaw, Poland. Like many of the Ascot boys, Freiman grew up in a close extended family, who all lived in the locality. His entire family was killed in the Holocaust. He survived the Warsaw ghetto and Buchenwald concentration camp. Freiman arrived in the UK in August 1945. Freiman says that the time he spent in Ascot was amongst the happiest in his life. Freiman went to Israel in August 1948 to fight in the Israeli army but decided to return to the UK, where he became a furrier. Today, he lives in Richmond, Surrey. Sam Freiman in the Israeli Army in 1948. Photo: Sam Freiman. Little is known of early life. Goldstein’s hometown of Miedzyrzec Podlaski is near Terespol in eastern Poland. In 1939 it had a population of 12,000 of which 75% were Jews. He was liberated in Theresienstadt in Czechoslovakia (now the Czech Republic) by the Red Army. He arrived in the UK in August 1945 and after a few weeks in the Lake District he was moved to the hostel in Ascot. He later immigrated to Israel. The Gutter family were wine makers for over 400 years and were a very religious Hasidic household. Gutter survived the Warsaw Ghetto Uprising after which his family was then deported to the concentration camp of Majdanek. His mother and twin sister were gassed at Majdanek. Gutter was liberated by the Red Army on May 1945 in Theresienstadt. He was brought to England in August 1945 and spent time in Windermere before being sent to a religious hostel. He asked to be transferred to the Ascot hostel, which was less religious and where he had friends. In 1952, he enlisted in the Israeli army. He lived in Brazil and South Africa before immigrating to Canada in 1985. He is one of 15 Holocaust survivors whose testimony has been turned into a hologram. Sidney Finkel was born Sevek Finkelstein. His parents were Lieb and Faiga. His father owned a flourmill and Finkel was the youngest of five children. His mother and older sister were murdered at Treblinka. His older brother Issac and one of his sisters survived the war. His older brother accompanied the children on the flight from Prague to the UK in 1945. When he arrived in Ascot, Finkel was virtually illiterate as he had no schooling and did not speak a word of English. In 1952, Finkel moved to the USA to join his sister Lola. Finkel built a career as a salesman and later became a manager at an appliance store. He has five children, nine grandchildren and two great-grandchildren. A widow, he now lives with his partner, Barbara in Tucson, Arizona. Heyman’s family were well off and lived in a large apartment. After Kristalnacht in 1938, his father was taken to the concentration camp of Sachsenhausen, where he was held for a couple of months and the family were forced to sell their business. In February 1940, the family were deported to Lublin in Poland. Heyman was in a series of labour camps and at Flossenberg concentration camp in Germany. In April 1945, he was liberated on a death march to Dachau. Heyman was cared for at Klosters Indersdorf, an International DP Children’s Camp not far from Dachau. While living in Ascot, Heyman discovered that his mother had survived the war but was ill with tuberculosis. She had been taken to Sweden for treatment. Heyman visited her before she died in 1947. He married in 1954 and had two sons. He died in London in 2012. Kampel was the only child of Lebusz Kampel, a merchant, and his wife, Hendla. In 1942, Kampel and his parents, along with the rest of the Jewish population of Bodzentyn were taken to the industrial town of Starachowice, where there was a labour camp. Kampel’s parents died in Starachowice. Kampel survived Auschwitz-Birkenau and was liberated on a death march to the Dachau concentration camp. He was cared for in the International DP Children’s Camp at Klosters Indersdorf. Kampel arrived in the UK on 31 October 1945. He worked as a tailor. He married and had one son. Kampel died as a result of exposure to dangerous substances while in forced labour. Kestenberg was in the Lodz ghetto during the war. His parents we Icek Aba and Cewa. Kestenberg had a sister, Sabina, and two brothers, Samuel and Szyja ‘Charlie’. He was the only person in his family to survive the Holocaust. Kestenberg arrived in the UK in October 1945. After time in Ascot he was moved to the Garnethill Boys' Hostel in Glasgow. Kestenberg immigrated to the USA. He married and had four children, 10 grand-children and two great grandchildren. He died in Massachusetts in 2008. David Kestenberg is the young boy in the front row. He was photographed with his family before the war. He was the only one to survive. Photo: Cindy Kaplan. Liss was an only child and his parents ran a confectionary shop in the industrial city of Lodz, Poland. When the ghetto was liquidated in July 1944 the family were sent to Auschwitz-Birkenau, where they were selected to work. He alone survived and was liberated in Ahlem, Germany. After flying to England, Liss was sent to a sanatorium in Ashford as he contracted tuberculosis in the camps. After six months he was moved to Ascot. In October 1948 he went to Israel and joined the army. He married and had two sons and three grandchildren. Today, he lives in Israel. There is little known about Moncarz’s life before the war. In May 1945, Moncarz was liberated at Theresienstadt in Czechoslovakia (now the Czech Republic) by the Red Army. It is likely he had been in a string of other camps and endured a death march like the other boys, but this is unconfirmed. Moncarz arrived in the UK in August 1945. He spent some weeks in the Lake District before being taken to Ascot. Moncarz immigrated to the USA in October 1949. He married and had two daughters. He died in 1998. Perl was born Izak Perlmutter in the town of Mako in southern Hungary. He arrived in the UK in October 1945 with his brother Abraham Perlmutter. His parents were Ferencz and Rozalia Perlmutter. Perl had four brothers and four sisters. Only he and his brother survived the war. Perl was with his brother throughout the war, first in the Mako ghetto and later in Auschwitz-Birkenau, Forenwald and Kaufering concentration camps. He endured a death march to Dachau. Perl became a manager in a blouse factory. He married and had three daughters and a son. Since his retirement, Perl has spoken widely about his experiences. Today, Perl lives in Essex. Perlmutter’s parents Ferencz and Rozalia had nine children but only he and his brother Ivor Perl survived the war. His father, Ferencz Perlmutter ran a business that produced onions and vegetables. Perlmutter arrived in Southampton with his brother in October 1945. Perlmutter worked as a watchmaker in Hatton Garden. He married and had two sons, but only told his children the full details of what had happened to him when they were grown adults. Little is known about the life of Rolnik. After the liberation in 1945, he was cared for at the Kloster Indersdorf DP children’s home in southern Germany. He arrived in the UK in October 1945. After Ascot, Rolnik was moved to the Garnethill Boys' Hostel in Glasgow. He immigrated to Canada and never married. This picture of Natan Rolnik was taken in Kloster Indersdorf in 1945. The image was published in newspapers in hope that someone from his family might be found alive. Picture: USHMM. Rotenstein parents were Josek Lajb and Raisa. He was there only child. The family was in the Lodz ghetto. The family was deported to the Auschwitz- Birkenau concentration camp in the summer of 1944. Rotenstein and his father were selected to work but his mother died in the camp. According to German records he arrived at the Flossenburg concentration camp in Germany on 25 February 1945. Later records show that Rotenstein arrived in Germany on 10 March 1945, but the German records do not specify where he had come from. e arrived in the UK in October 1945. Rotenstein is the cousin of Mike Roth below. Rotenstein later joined his father in Palestine where he married and became a dairy farmer. He had no children. Michael Roth, was born Menachem Mendel Rotenstein. His parents were Israel and Rachel. German records show that the family were in the Lodz ghetto. The family was deported to the Auschwitz-Birkenau concentration camp in the summer of 1944. He and his father were selected to work but his mother died in the camp. Roth arrived in the UK in October 1945 and after a couple of weeks he was moved to Ascot. He was the cousin above. Roth later joined his father in the USA and lived in New Jersey, where some of his mother’s family also lived. The family went into the real estate business. He served in the US Army during the Korean War and was stationed in Germany. He married the daughter of a well-known Israel actor and had two children. When war broke out in 1939, Rosenblat was living in Piotrkow Trybunalski, just south of Lodz, with his parents Jakub/Jankiel and Rose/Razia/Rojsa, and his three older brothers. He had a sister who had moved to France. His mother was murdered at the extermination camp at Treblinka. He and his brothers were liberated at Theresienstadt, in Czechoslovakia (now the Czech Republic). 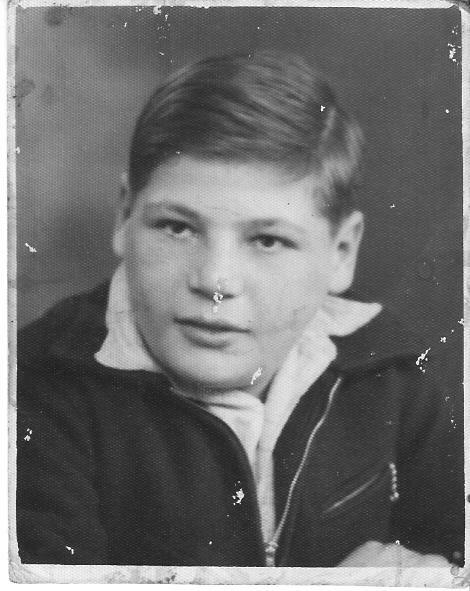 Rosenblat came to the UK in August 1945 with his older brothers who were among those who accompanied the child survivors from Prague to the Lake District. When he arrived in Ascot, Rosenblat said that he could not even spell his name. He left for Israel in 1948 to fight in the Israeli army. In 1950, Rosenblat immigrated from Israel to the USA where he ran a television repair shop. Rosenblat later wrote an account of his life in which he falsified events. Rosenblat received considerable media attention until he was outed by the historian Deborah Lipstadt. Rosenblat died in 2015. Rosenzweig was the oldest of five children. His mother, Chana, was a housewife and his father, Chaim, was a businessman. He was the sole survivor of his family. Rosenzweig was in series of concentration camps, among them the camp in Plaszow in the southern suburbs of Krakow. He was liberated in Theresienstadt in Czechoslovakia (now the Czech Republic). Rosenzweig arrived in the UK in August 1945. After a few weeks in the Lake District, he was moved to Ascot. Rosenzweig settled in Israel. Very little is known about Pantoffelmacher other than he was liberated by Russian forces in Theresienstadt in Czechoslovakia (now the Czech Republic) in May 1945. He arrived in England in August 1945 and spent some weeks in the Lake District before being transferred to Ascot. According to fellow survivor Sam Freiman, Pantoffelmacher died at a young age of leukaemia. Very little is known about Schwartzberg’s life. Schwartzberg’s parents were Abraham and Rachel. Schwartzberg arrived in Ascot in the autumn of 1945, but it is unknown how long he spent living in England. He immigrated to Florida, USA. Schwartzberg married and had a son and two daughters. He had two grandsons. He died in 1994 in Florida. Stone was born Joseph Himelstein. His parents ran a small leather business. Stone had two brothers and two sisters. Stone survived the concentration camps of Majdanek and Auschwitz-Birkenau. Stone was taken to the UK in October 1945 and after a fortnight he was moved to Ascot. In 1948, Stone went to Israel and served in the Israeli navy. He returned to the UK, but left again in 1953 for the USA. In 1954, Stone married another Holocaust survivor he had met in London and had a family. Widowed in 1986, he later married again. Stone retired to Florida and died in 2008. Suskin was born Hirsch Zyskind. In the ghetto in Piotrkow Trybunalski, he met and became friends with Sidney Finkel, who was also in Ascot. They both worked at the Hortensia glass factory, which was directly contributing to the German economy and war effort. Finkel and Suskin were together throughout the war. The two boys were liberated at Teresienstadt in Czechoslovakia (now the Czech Republic) in May 1945. They both arrived in the UK in August 1945. After leaving Ascot, Suskin set up a wholesale haberdashery business in London’s East End. Little is known of Wiernik’s life other than he was in Buchenwald concentration camp in Germany and liberated at Theresienstadt in Czechoslovakia (now the Czech Republic). He lied about his age claiming to have been born in 1931. Wiernik was brought to England in August 1945 and spent some time in the Lake District before being sent to Ascot. Wiernik died in 1974 at the age of fifty. Wolkowitz was in the Lodz ghetto with his parents Pejsach Wolkowicz, a wealthy industrialist and Marjem, a housewife. Wolkowitz was a prisoner in the Flossenburg concentration camp in Germany before being moved to Dresden in December 1944. Wolkovitz was also in Theresienstadt where he was liberated by the Red Army on 8 May 1945. Wolkowitz arrived in the UK in August 1945. Wolkovitz later immigrated to Australia. Wolkovitz married and had a son. Steve Wolkowitz in his concentration camp uniform. Picture: Steve Wolkowitz. Little is known about his life. Wolreich was liberated by the Red Army at Theresienstadt in Czechoslovakia (now the Czech Republic). He was brought to the UK in August 1945 and spent some weeks in the Lake District before being moved to Ascot. Wolreich married Gertie and had a family. He lived in London until his death.